We have just sent our paper class schedule to press. It includes this glorious manifesto as a 17" x 22" poster. 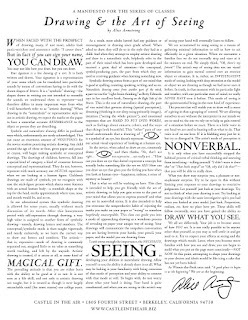 The manifesto is written by Alice Armstrong and it is all about her philosophy on drawing and the art of seeing. She is teaching a series on drawing beginning June 15. Perhaps we will SEE you there. As a professional artist I also stress that the ability is *not* magical, entirely learn-able, and completely worth the pursuit. Once the barrier of what we *think* we see is broken to be replaced by what is actually in front of our eyes, is translated on to a 2D surface and studied, it is as if a veil has been lifted and the world suddenly becomes even more deeply beautiful. 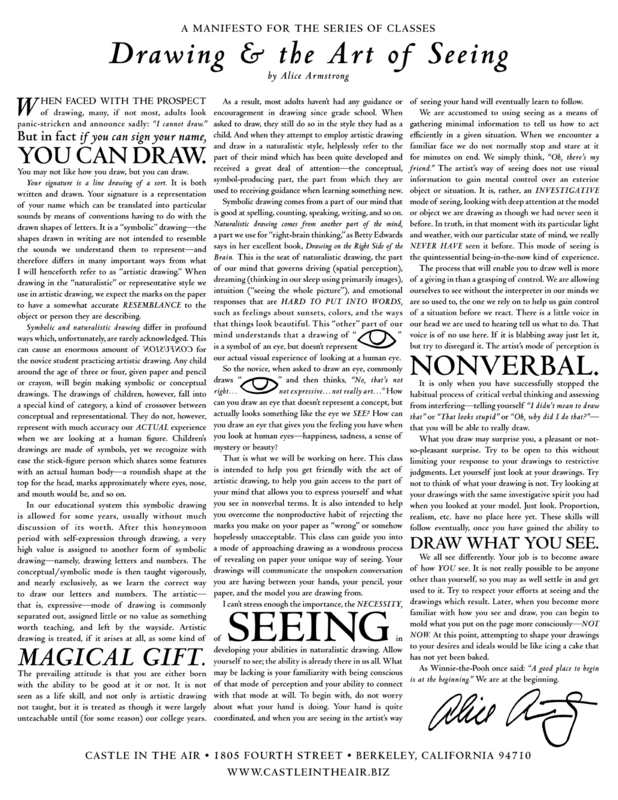 Kudos to Castle in the Air, once again, for inspiring and encouraging the artist within ALL of US!